The utility acknowledged in a document obtained by CNBC last month that its equipment may have sparked the deadly Camp Fire, which killed at least 88 people. California’s giant utility, Pacific Gas and Electric, could face charges up to murder if it is found criminally liable in any of the state's recent deadly wildfires, the state’s attorney general said in a court filing. State Attorney General Xavier Becerra’s office said PG&E could face the most serious in a range of criminal charges if it is found to have caused any of the recent deadly fires — and acted with malice in the operation and maintenance of its equipment, according to a brief filed Friday in Northern California’s federal district court. The court filing came after U.S. District Judge William Alsup ordered the utility — the state’s largest — to determine if it played any role in the Camp Fire, which in November killed at least 88 people, destroyed nearly 14,000 homes and laid waste to most of the city of Paradise in Northern California. Alsup is overseeing a sentence against PG&E in a separate case, a 2010 natural gas pipeline explosion south of San Francisco that killed eight people and injured dozens more. 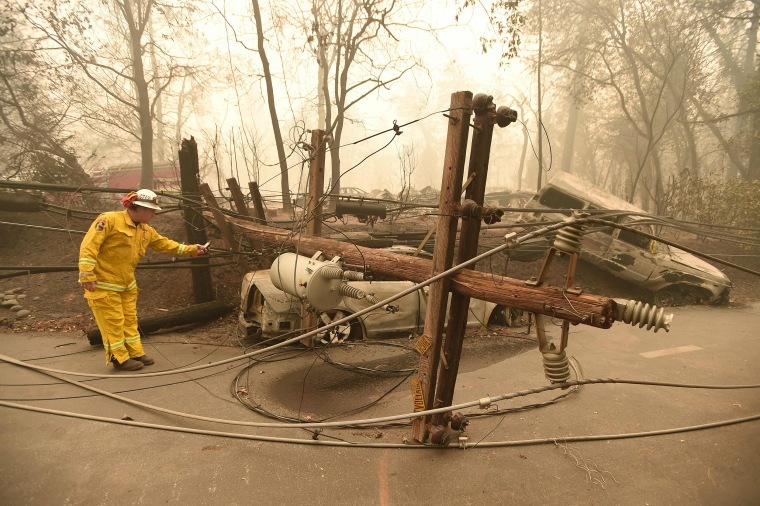 PG&E acknowledged in a document obtained by CNBC last month that its equipment may have sparked the Camp Fire, the state's deadliest wildfire ever, which ignited on the morning of Nov. 8 and tore across 240 square miles in the Sierra Nevada foothills. The utility said in a statement that its "most important responsibility is public and workforce safety. Our focus continues to be on assessing our infrastructure to further enhance safety and helping our customers continue to recover and rebuild." "Throughout our service area, we are committed to doing everything we can to help further reduce the risk of wildfire," PG&E said in the statement. The company could face a series of lesser charges, including involuntary manslaughter, if it didn’t properly clear vegetation around its power lines and poles, the brief said. PG&E could be charged with other felony crimes if it is found to have acted recklessly, prosecutors said.